Life is funny, isn’t it? For much of my life, I was eager for time to move faster (especially during the hour before the munchkins’ bedtime), but now I’m finding it slipping through my fingers like grains of sand. This year seemed to have flown by in a few blinks of an eye—one minute I was enjoying the warm days of summer; the next thing I knew, it was time to turn on the heater. Even though we’ve had our tree up for a few weeks already, I’m amazed that it’s Christmas again. I wonder if each and every year from now on will pass by just as quickly? And what will be the results of those 365 days, year after year? Yup, I’m feeling a bit sentimental and nostalgic and whatever other emotions one feels during mid-life. Maybe even a bit philosophical. But the one thing I wish I felt less of was anxious. Frazzled. Rushed. I long to feel the freedom and spontaneity of my youth. To feel invincible and hopeful. To believe I had all the time in the world to do all the things I wanted to do. To joyfully experience that funny and beautiful thing called life. Everything takes work. Marriage takes work; parenting takes work; my relationship with God takes work; writing and selling books takes work; friendships take work; housework and chores take A LOT of work. I’ve come to see that work mean putting in the effort and time, but most of all, the intention. When you have the desire and motivation to push you, what seems like work becomes less laborious and more a way of being, of living. Balance is key. You have to take care of yourself, so you can take care of those around you and do everything that life requires of you. Downtime is essential (here’s a great podcast about why) and a non-negotiable. Run your own race. The only person you need to compete with is yourself. Get wrapped up in your own progress and growth. Give yourself credit. Don’t shortchange yourself. Celebrate your accomplishments, including the everyday ones (especially cooking and laundry!). Doing the same thing day in and day out is a lot harder than people think. The little things add up. Doing the same things on a daily basis, as mundane as they may be, builds character in the long run. I love how Romans 5:3-4 puts it: “we also glory in our sufferings, because we know that suffering produces perseverance; perseverance, character; and character, hope.” I know suffering seems like a big word, but I like to think that living in this imperfect, fallen world is an experience in suffering. It’s not always easy to love people, to stay positive, to find joy in work, or to have faith in God. But when we put one foot in front of the other, open our eyes and engage our hearts, we start to have more purpose in doing, being, and believing. Life becomes sweeter and more fulfilling as we persevere and learn and grow. Soak in all. the. moments. Take time to appreciate the ordinary because these moments will one day be the fodder of nostalgic conversations. Make memories, and make them well. 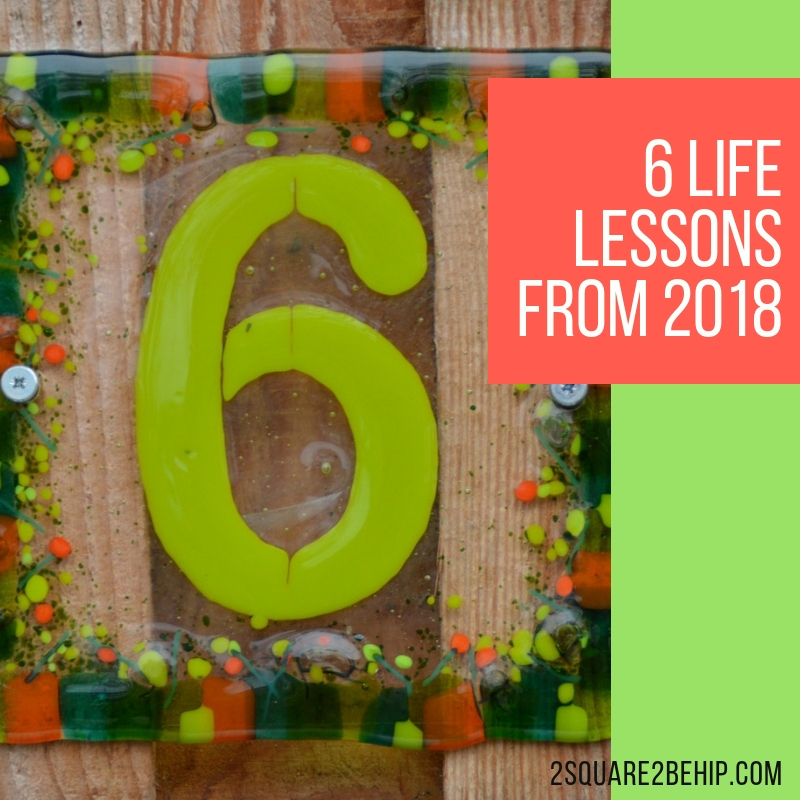 What life lessons did you learn in 2018? I’d love to hear them and learn from you. Thank you for following me on my recovering perfectionist journey this past year. I so appreciate your support. 🙂 Till next time, I hope you have a Merry Christmas and Happy New Year! This entry was posted in Musings and tagged life lessons. As much of a perfectionist that I am (or try to be), there are often times when I just can’t keep all my plates spinning at once. Which means something’s gotta give … and recently, it’s been this blog. So, I do apologize for not blogging more regularly! I’ve realized I only have so much brain power and emotional reserves to write from, and unfortunately, every ounce of my mental clarity and creativity is being used for writing fiction. It’s been a whirlwind of typing and editing for the past month as I’ve been working hard to crank out some “to-market” stories. What exactly are “to-market” stories? Well, there are books that authors write for the love of it, because the characters in our heads won’t let us live in peace until they’re down on paper. And then there are the books we need to write to make an income that helps supplement our “for love” books. Before I wrote that series, I wrote a sweet small-town Christmas story. 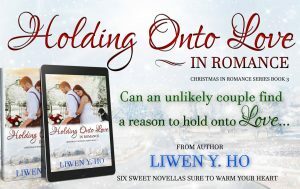 Holding Onto Love in Romance, which is the sequel to Chasing Romance, releases this week. I’m really happy I wrote this book, even though I likely got some new gray hair trying to write the ending! Before I wrote that book though, I revamped the very first series that I ever wrote. The Taking Chances on Love series has brand new covers and the stories have also been edited. It had been my desire for a very long time to polish up these three novellas to reflect my growth as an author since I wrote them 3-4 years ago. I finally got around to doing it, and I’m so glad I did. And now I’m working on book 3 in The Spark Brothers series, which is Colin and Candy’s story. I’m looking forward to celebrating because the older I get, the more I realize what a privilege and blessing it is to have another birthday. Don’t get me wrong, I don’t like aging and all the aches and pains that go along with it. However, I do appreciate being able to age. The (sad) truth is that not everyone gets to see 43, so I’m not taking this number for granted. Another (sad) truth is that I’ll never be as young as I am right now, so I’m going to hold on tightly to what I have and be grateful. 🙂 My birthday wish this year is to live well, laugh often, and love much. 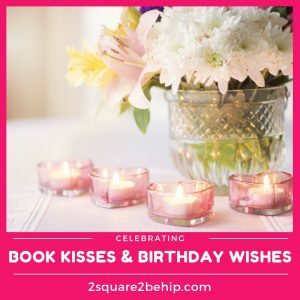 What was/is your birthday wish this year? This entry was posted in Makings, Musings and tagged new releases, writer life. To meet a romance author (me!). As soon as I sat down that evening, Sesame Street’s song, “One of These Things is Not Like the Other” began playing in my mind. I glanced at the faces of my friends, all of whom I’ve known since junior high, and immediately started thinking … They have real full-time jobs. They went to school for years and years to earn their Ph.D.’s in order to have these well-established careers. They actually have a title that you can check off on forms that’s more fancy than Mr. or Mrs.
And there was lil ‘ol me, a stay at home mom, with my lil ‘ol Masters degree working in a profession totally unrelated to said degree, who just wants to make enough money to support my boba tea addiction. I wasn’t comparing myself with my friends because they think less of me—they are all very down-to-earth gals. 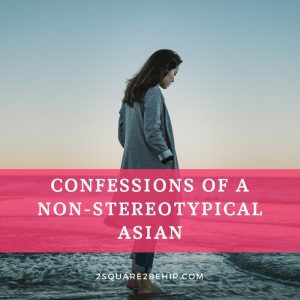 I was comparing myself to them because I’ve been conditioned to believe all my life that Asians are supposed to be high-achieving, hard-working smarty pants in school who later on become high-achieving, hard-working adults in the working world. But I’ve never been “one of those Asians”. Sure, I’m high-achieving and hard-working, but I’ve always been below the Asian standard for nerdiness. I only took one AP/Honors class in high school because anyone and everyone could get in (and I only passed, thanks to the help of some brilliant friends). I got accepted into UC Berkeley, but only for the extension program because I didn’t have the transcript or the SAT scores I needed to officially get in. I have never even taken a Calculus class (I dropped out the first week when I saw the syllabus!). Instead, I ventured into the counseling field for a couple of years, even though many Asians shy away from anything having to do with mental health, and am now an author who often times feels like the “token Asian” among my author friends. It’s taken me a few good years to feel more like a “real” author, someone who actually knows what she’s doing and has a job that is more than a hobby. And because I’m still a true Asian at my core (high-achieving and hard-working! ), I want to do well as an author. I want to show people—Asians and non-Asians—that people who look like me and are from a similar background and upbringing can be successful without a Ph.D. behind their name. I’d like to pave the way for and inspire other Asians who don’t excel at math or science to do what they’re good at and what they love. I hope to see more Asians take a chance on being creative and to know it’s okay to not be a doctor, lawyer or engineer. Asians can hold a variety of other professions as writers, directors, actors, artists, and dancers—and much more! It always makes my heart happy to see people being creative, but it makes my Asian heart happy to see other Asians breaking out of the mold to be creative. Which is why I HAD to go support the movie, Crazy Rich Asians, on opening day. I even dragged an Asian friend to go with me. 😉 We are neither crazy nor rich, but we are Asians who express ourselves creatively, and we both truly enjoyed the film. I for one was blown away by the beauty of it all—from the soundtrack (which features Chinese covers of English songs) and the amazing set designs to the gorgeous costumes and jewelry. I also felt a bit nostalgic as I recognized some of the Chinese songs from the movie as ones my parents used to listen to when I was a kid. The movie truly made my heart–both the creative part and the Asian part—happy, thankful, and proud. Happy because I love a good rom-com and the movie was well-done with just enough conflict, angst, drama, and laughs. Thankful because the older I get, the more I appreciate being Asian and all the craziness that comes with the culture. And proud because even though it’s hard to feel validated—by your family, other people, but most of all, yourself—as someone who is Asian and creative, this movie is living proof that it’s possible. So, this is definitely a plug from me to go see the movie! If you’re Asian, and even if you’re not, Crazy Rich Asians is good entertainment. You won’t regret it! In the meantime, enjoy this song from the soundtrack, Katherine Ho’s (no relation, haha) Chinese cover of Coldplay’s “Yellow”. How does your cultural background influence your creativity? 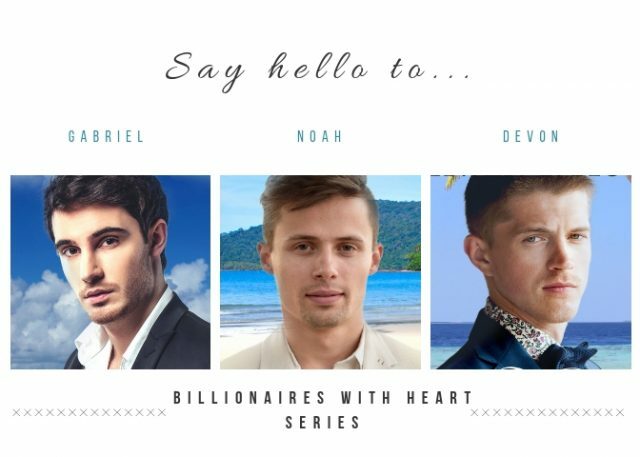 This entry was posted in Musings and tagged author, crazy rich asians, creativity, katherine ho. I’m going into my fourth year as an author, and while it’s not a full-time job (I’m still employed as a chauffeur, referee, and chef by day, haha!) it requires a lot more of me than I expected. Or, it could be that I tend to go “all-in” when I sign up to do something. If you didn’t know, us perfectionists have a hard time slacking off. 😉 So it shouldn’t have come as a surprise that I got very sick a few months ago during the month of November. Somehow (I say this sarcastically because no one was at fault besides me) I found myself with 3 book releases in the span of 2 weeks. On top of that, I had some extra family stuff to attend to, and I wasn’t sleeping much. Then … come to find out just last week … I had forgotten to pay a very big and important bill that month. Ouch! Realizing I had dropped the ball like that and then having to tell hubby about it—you can bet I’m not doing that ever again. Can we say, lesson learned? Not only did I learn I have to write everything down these days (or else I’ll forget about it), I also learned the way I was living was not sustainable. I was barely getting by and my body knew it. Unfortunately, it took going to the extreme side of busyness for me to see this. But now that I know what is “too much” for me, I have a better sense of what is “just right”. And what helps me stay sane and healthy is holding onto these four keys to a sustainable lifestyle. Let God in. The older I get, the more I realize letting God into my daily life isn’t about seeming more spiritual or feeling better about myself, it’s simply about survival. Life is hard, and being human is hard. Bible verses I used to skim through when I was younger make so much sense now and bring me peace and comfort in this crazy world. Ask for help. Eeks. Another thing that perfectionists don’t like to do is ask for help. Why would they when they have everything under control—or so they like to think. 😉 But asking for help is part of being human. And it’s good to give others a chance to love on you. I know I shared this song before, but it’s something that gives me life. And this particular performance brought me to tears. Here’s Keala Settle singing, “This Is Me”, from The Greatest Showman. 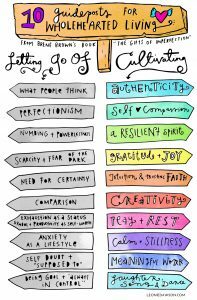 What things do you need to let go and what things do you need to cultivate in your life? This entry was posted in Musings and tagged author life, sustainable life. Yup. Age is just a number. Peace, joy, and love are timeless. In Jesus, we have the hope of eternal life. There’s so much to look forward to that outweighs all the human stuff that bogs us down today. I hope you’ll celebrate each moment you have and each breath you are given. 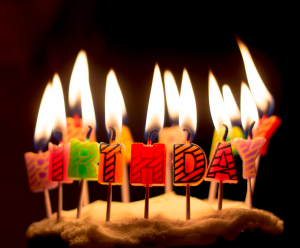 I know I will be as I blow out all 42 candles on my birthday cake (haha, just kidding; I think that might be a fire hazard!). This entry was posted in Musings and tagged aging, birthday, celebration, Kurt Hugo Schnieder, Lauv. Remember my post a few weeks back (you can read it HERE) about how munchkin #2 waited 72 (I repeat, 72!) days for her strawberry plant to sprout? Here’s part 2 of this epic saga. Saga is the correct term because it means “a long story of heroic achievement”. Poor C. My disappointment was only a smidgeon of the shock and despair she was feeling. In that moment she wanted to give up. She was ready to hand over her bright green shoot of long, spiky leaves and have me take care of it. And quite honestly, I didn’t blame her. I wish things were different. I wish one strawberry seed had made it so C could have something to show for her hard work and patience (because to an 8 year old, 72 days is like an eternity!). But in the midst of all our disappointment, I appreciated the life lesson this wannabe strawberry plant reminded me of: Things doesn’t always turn out the way we expect, but that doesn’t mean these experiences were for naught. The disappointments we face, the unexpected detours and U-turns we make, the epic failures we go through—they are what make us strong and resilient and persistent. Nope, they’re not fun or pleasant, but they build something precious and desirable: they build character. And the hard times are what make success and victory sweet. Here’s a picture of C’s weed. Next to it is some lettuce she’s growing, too (which is super easy to do; go here for instructions)! Here’s an oldie but goodie, Wilson Phillips’ song “Hold On”, that talks about holding on through the hard times. How have disappointments and failures shaped you? 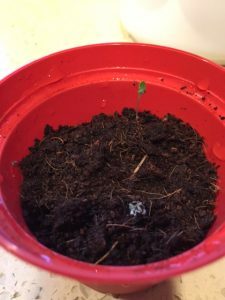 This entry was posted in Mamahood, Musings and tagged change, dandelion, disappointment, lettuce, weed, Wilson Phillips. 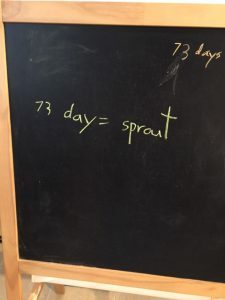 When I walked into the kitchen this morning, I was met with some enthusiastic shouts of, “Sprout! Sprout! Sprout!” I turned to C with a curious look and repeated, “Sprout?” It took me a few seconds, but then I realized what she was referring to … her strawberry plant had FINALLY sprouted!!! Here’s the sprout in all its glory! Now, in case you don’t appreciate the magnitude of this news, let me tell you what it took for this little sprout to grow. 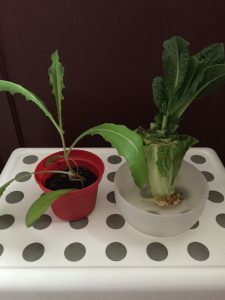 According to the directions that came with the plant, it takes anywhere from 2 to 3 months for it to sprout. That equates to 60 to 90 days of watering, “sunning” and … waiting. That last part was definitely the hardest part of this journey for C. Every single morning she would wake up, go downstairs and check her plant. Then she’d record what day it was on her chalkboard. Day 1 turned into Day 15, then Day 33, then Day 58. When she reached Day 60, she exclaimed, “It’s been 2 months! Why isn’t it growing?” And I started to see the glimmer of hope in her brown eyes flicker. I continued to encourage and remind her that the instructions said 2 to 3 months (all the while, half-hoping and half-doubting that we’d see any results). I told her, “Yay! I’m so proud of you! You persevered!” Her eyes lit up as she took the pot in her hands and gazed at the little green shoot. It was a defining moment in her life, folks. 🙂 And I mean that in a serious way. Waiting has always been hard for C. She’s just wired differently from my other munckin (who shall not be mentioned on my blog anymore at his request, hehe), and it’s part of her nature to want results NOW. (Hmm, I wonder who she got that from—not me, cough cough!). So when she had first decided to grow this plant, I was very hesitant. All these thoughts ran through my mind: What if it never grows? What if she gives up after a few weeks? What if she’s terribly disappointed? Okay, so I was hesitant and doubtful. But as a parent, I’ve learned that you need to let kids experience struggle because it’s during the hard times that they learn the most. They learn about how the world works (you can’t always have immediate gratification) and they learn about how they themselves work and how they can change and adapt and grow to be more well-rounded people. I hope you and yours have that kind of a morning this Easter as we reflect and celebrate the significance of Jesus’s death and resurrection in our lives. And may we also come to believe that good things—growth, change and results—do come to those who wait. 😉 Have a Good Friday and Happy Easter! What have you gone through to help you master the art of waiting? This entry was posted in Mamahood, Musings and tagged easter, Good Friday, the art of waiting. When the munchkins were younger, there was a lot of crying in our house. Actually, there was a lot of crying outside the house and in the car, too. Let’s just say that if we had collected all those tears they shed (as well as the ones I shed during their tantrums and meltdowns! ), we could’ve helped out our drought-stricken state of California. 😉 Thankfully, we’ve had a lot of rain in the past weeks to fill up those reservoirs and the kids are able to process their emotions a little more calmly these days. But if there’s anything I’ve learned over the years as a parent, it’s that one, kids cry a lot, and two, crying can be helpful. Having been raised by my strict, no-funny-business grandma, however, I learned not to cry. I learned it was safer to stuff my emotions inside rather than show them. Which is why I struggle so much when the kids need to cry. And I use the word need because sometimes we just need to cry. 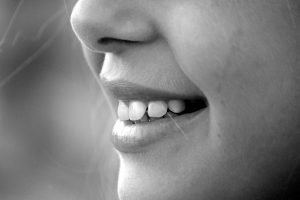 If you Google “benefits of crying”, you’ll find countless articles (here’s one) touting the physical and emotional benefits of tears. Crying releases toxins, helps you deal with stress, and makes you more mindful of your emotions and experiences. Moreover, shedding tears in front of people you feel safe with helps build your connection with them. So it’s a good thing to cry by yourself and with others! Crazy idea, huh? This song gets me every time. Steven Curtis Chapman’s “Heaven is the Face” is a song about the passing of his daughter, but it also speaks of our hope in God to one day be with Him in a place where we’ll no longer have a need to cry. What were you taught about crying? What do you believe about it now? This entry was posted in Mamahood, Musings and tagged crying, parenting, steven curtis chapman, tears, this is us. Grr. I struggle to write this post because although I know I’m not a perfect person, I don’t like to think about it too much. 😉 Anyhow, this blog is all about change and the process of change, so there’s no hiding the fact that I am a work in progress. A messy, dragging my feet, don’t wanna change work in progress. First of all, a shout-out to my dear hubby who called me out on my messiness and didn’t let me stay in my rut. The other day he commented in a disapproving but calm way that “you’re not the person I married”. Ooh, I bet you’re wondering if he spent the night in the doghouse after that remark(! ), but alas, no, we no longer have a dog (RIP Sparkle), therefore we have no doghouse, so no worries there. 😛 My response to his comment? Well, I had two: one in my head which shall remain safely tucked away there because if you ain’t got nothin’ good to say, it’s better to not say anything at all, and the second was something like, “I’m not the same person! I feel like a servant!” Eeks. Long story short, I’d been feeling way overworked and way under-appreciated and was letting it (ie. my anger, frustration, resentment) alllll hang out. You know how when you first start dating, you make sure you’re dressed your best and you’re on your best behavior so you don’t scare your date off? And then once you’re engaged or married, you start feeling oh-so comfortable and doing all the stuff you never would’ve done before in front of your significant other (ahem, passing gas!) and essentially, you just “let it all hang out”? Well, yep, that’s what I’d been doing. Not the passing gas part exactly (that’s old news, haha), but giving stinky faces and a bad attitude and using my indoor voice with the kids (the kind you use only at home because you would never speak that way to strangers!). It was not a pretty sight. That’s why hubby said what he said. And he was right. I’m not the same person he married. That old me (well, actually the much younger me) wasn’t a mother of two kids who’s trying to juggle multiple roles as a wife, mom, and a writer. That me was able to sleep in, do what I wanted most of the time, and not have to deal with meltdowns, sibling rivalry, picky eating habits, and 5+ loads of laundry a week*. So yeah, a lot’s changed in 15 years. And so have I. And because I’m older and a tad wiser now that I’ve been on this life journey for 40 years, I was able to swallow my pride and think about hubby’s statement. I let it simmer in my head and heart for a while and consider the effect my actions and words have been having on the kids. How my yucky attitude has been affecting my mood. And how it makes NO sense for me to yell, “Don’t yell!” at the kids and expect them to do the opposite of what I was doing. Grr. You get the idea. So I had to really make a conscious decision to NOT let it all hang out. 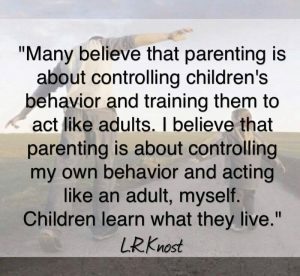 I had to stop giving myself permission to treat my kids and hubby so poorly (because in my head I was telling myself it was okay to do so). And I had to remind myself to reel my emotions in and change my perspective. Quite honestly, there’s a lot of things I have to do on a daily basis that I don’t want to do (*see the examples above!). But I’m choosing to do them because I love my family. And loving people means dealing with the messy, not-so-fun stuff sometimes. It requires looking beyond myself and caring for the needs of others. It means putting on my big girl pants and being a grown-up and doing grown-up things. Check out Maati Baani’s amazing cover of Michael Jackson’s “Heal the World”, performed by a bunch of cool kids! 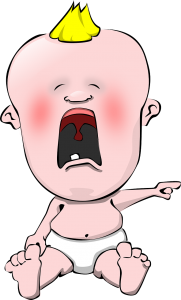 This entry was posted in Musings and tagged adulthood, change, Maati Baani, Michael Jackson.